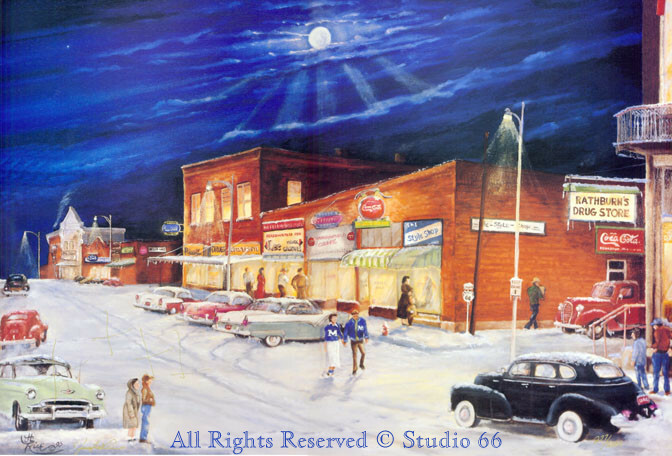 ﻿Print Size: 15" X 26"
Located on the Northwest side of the square in Marshfield, Missouri in 1955. This was the celebration of the 100th year of Webster County. This 4th of July parade is the oldest, ongoing parade west of the Mississippi. 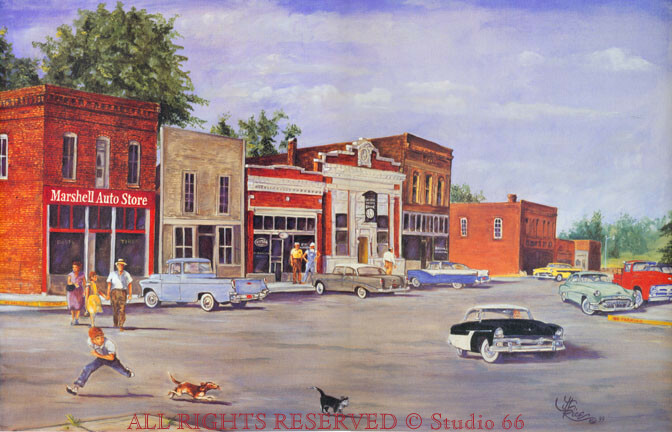 Located in Marshfield, Missouri on Route 66 in 1955. 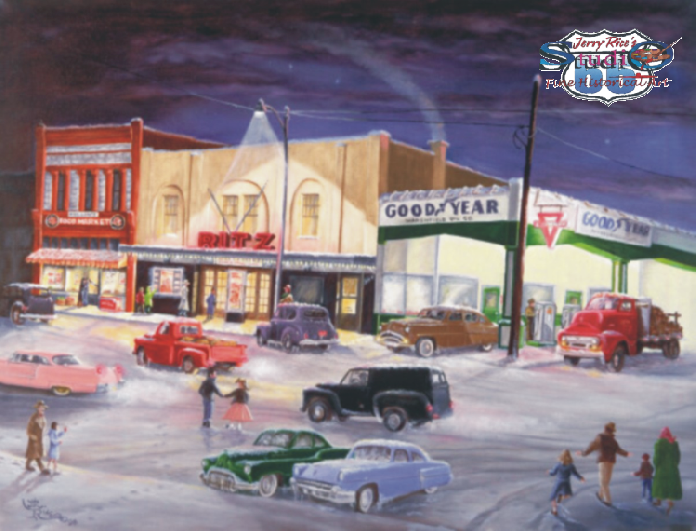 Located on the East side of the square in Marshfield, Missouri on Business Route 66. 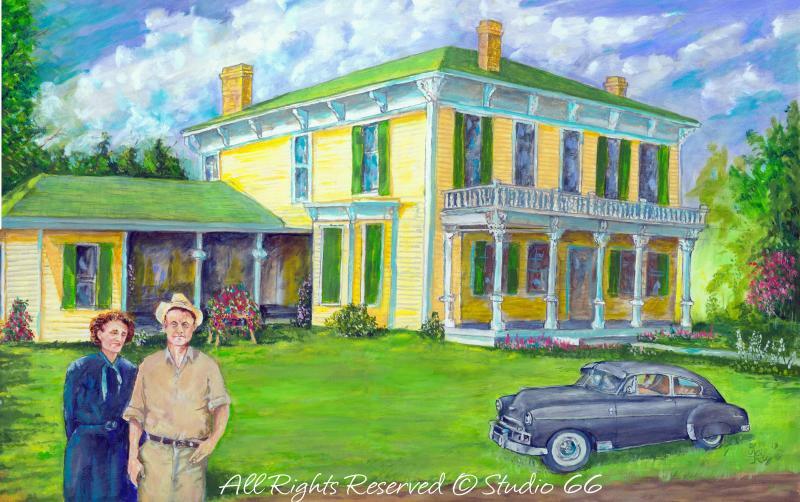 Print Size: 18 1/2" X 26"
Located on the West side of the square in Marshfield, Missouri. This is a historical house in Webster County, Marshfield, Missouri.